Because different predators react to your presence and show aggression in dissimilar ways, it is important to become familiar with the habits of various species and know how to act during an animal encounter with each. These general safety and hunting tips serve as an excellent starting point in helping you prepare to make your hunting outings as enjoyable and as safe as possible. If you are planning a hunting trip in an area that you are not familiar with, always do your research well before your outing to give yourself adequate time to prepare. Knowing what type of animals frequent the area is an integral part of your preparation. 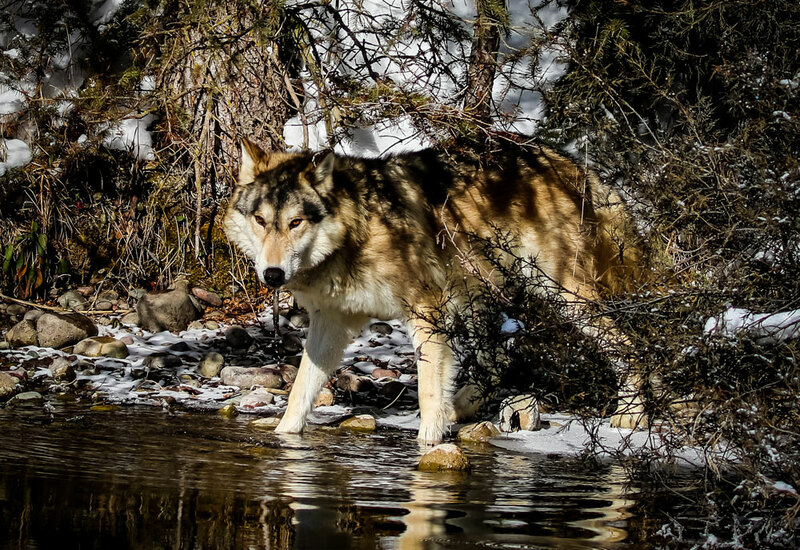 This can help you prepare for coming across that animal and allow you to take the necessary preventative measures to mitigate your chances of an encounter in the first place. For example, knowing that bears frequent a certain area will affect how and where you set up camp to avoid attracting them to your campsite. Use online hunting forums to come into contact with hunters who hunt the area often and ask them about their experience and what to expect. You may also want to consider getting in touch with a local park ranger or the Department of Conservation and Natural Resources in the area, as these individuals are intimately aware of the wildlife within their jurisdictions. Before heading out, double check your equipment and make sure it is in good working condition. It is essential that all food and water containers are waterproof and airtight, as food scents can attract unwanted and hungry wildlife guests to your campsite. Female animals with offspring are among the most dangerous animals. If you are hunting during a breeding season, keep as much distance between yourself and female predators and their young as possible. Even animals that would normally avoid human interaction can become aggressive when they have young. Make sure you are aware of the breeding habits of predators in your vicinity and avoid hunting at these times if possible. Wild animal encounters can be unsettling and knowing what to do in species-specific circumstances is your best bet for making it out unscathed. In the lower 48, there are two types of bears that you are most likely to encounter: grizzly bears and black bears. 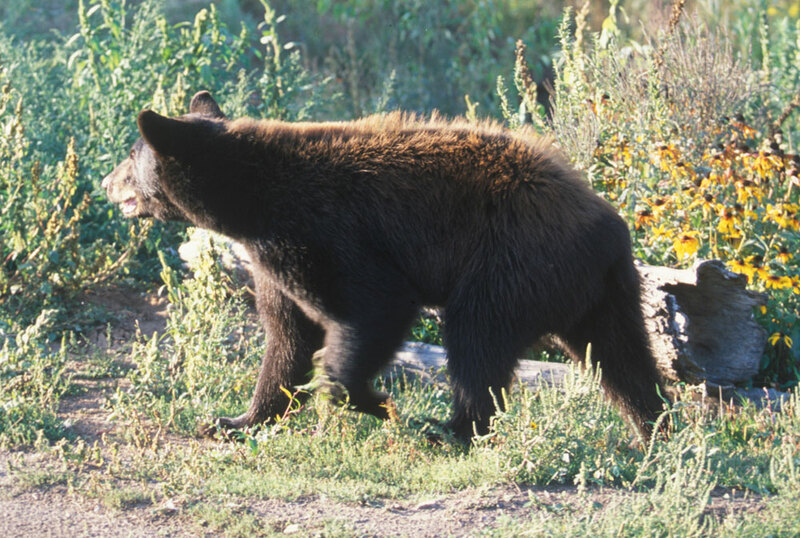 While much of the advice that pertains to one also relates to the other, there are a few distinctions concerning the different species and how you should react in case of a bear attack. Grizzly bears are brown, large, and extremely aggressive. Black bears are black, smaller, and not as aggressive as a grizzly, but still a threat in their own right. If you come across either type of bear, but they have not yet seen you, back away as slowly and as quietly as possible. If the bear notices you, identify yourself as a human and not prey by speaking calmly and slowly waving your arms while holding your ground. At this point, the bear may rear up on its hind legs to get a better look at you. This is curiosity behavior and shouldn’t necessarily be taken as a threat. 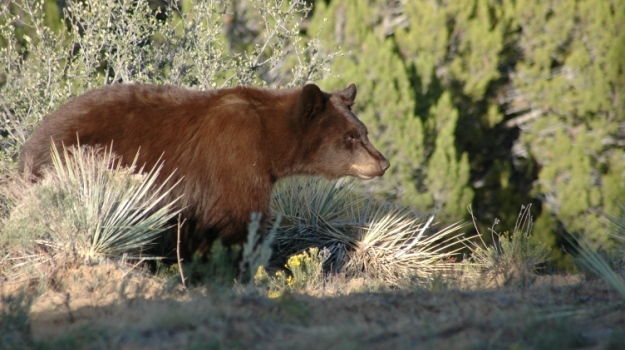 If the bear remains stationary, move away slowly and sideways to keep from tripping, maintain sight of the bear, and display a non-threatening or challenging movement. Do not run. Just like a dog, bears will chase fleeing objects. If the bear charges, stand your ground and try to appear bigger than you are. Try to stay calm, as bears often bluff out of an encounter by turning away at the last second. Do not drop your backpack if you are wearing one, as it can provide protection for your back in case of an attack and make you look bigger than you are. For grizzly and brown bears, play dead if you are being attacked and lie flat on your stomach with your hands clasped at your neck to protect it. Remain still until you are sure the bear has left the area, as grizzlies are quite notorious for sticking around to see if an animal will get back up. If the attack persists, fight back vigorously by directing at the bear’s face and eyes any sharp objects that you can grab. Conversely, for a black bear, it is essential that you DO NOT play dead. If an escape to a car or building is not possible, fight back by concentrating blows and kicks to the bear’s muzzle. Black bears will typically give up when their prey fights back. Never climb a tree to escape from a black bear: They are excellent climbers. Bear pepper spray can be used from 25 feet away. Though it is composed of different substances, it works much the same as the human variation and releases a cloud of strong capsicum spray that should be directed at the bear’s face. 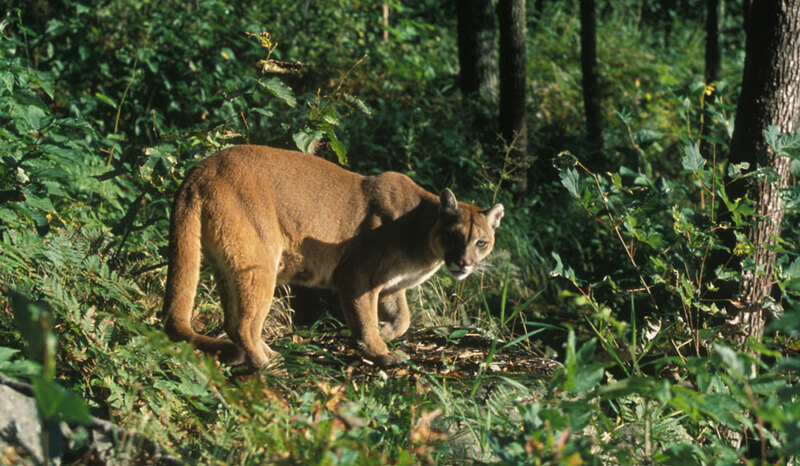 Mountain lion, cougar, puma, panther, catamount: No matter what you call it, knowing what to do in case of an encounter with this deadly predator is essential. Where possible, back away slowly and quietly while maintaining eye contact. If the cat approaches you, puff and use your arms to make yourself appear larger, and never crouch down or turn your back on the animal. Make a lot of noise while continually trying to put distance between yourself and the cougar. If it does attack, fight back vigorously with anything you have on hand—sticks, rocks, tent poles—and aim your blows at the face and eyes. Wolf attacks are infrequent, as wolves typically avoid people and tend to be non-aggressive if they do cross your path. Sometimes, however, they may seem a little more interested in you than you are comfortable with. Being loud, standing tall, and throwing things at the wolf or wolves will usually be enough to get them to leave you alone. In most cases of a wild animal encounter, you are not supposed to flee. But if that animal is a moose, you should run away from it as quickly as possible and try to find a tree to climb or some other shelter, as you will be unable to outrun it for very long. Once you have found shelter, wait it out, and the moose will eventually get bored and walk off. If it does knock you down, cover your head, curl in on your body to protect yourself, and wait for the moose to leave. Staying calm is vital. Try not to panic, to allow yourself to clearly think about what you know concerning how to remove yourself from the situation. Remember, most animals don’t want to confront humans and would rather avoid it if they can. Your first course of action is always to try to put distance between yourself and the animal. Wild animal attacks tend to be rare events, but that doesn’t mean they don’t happen. Keep yourself and your hunting buddies safe by equipping yourself with the knowledge you need to survive a wild animal encounter.